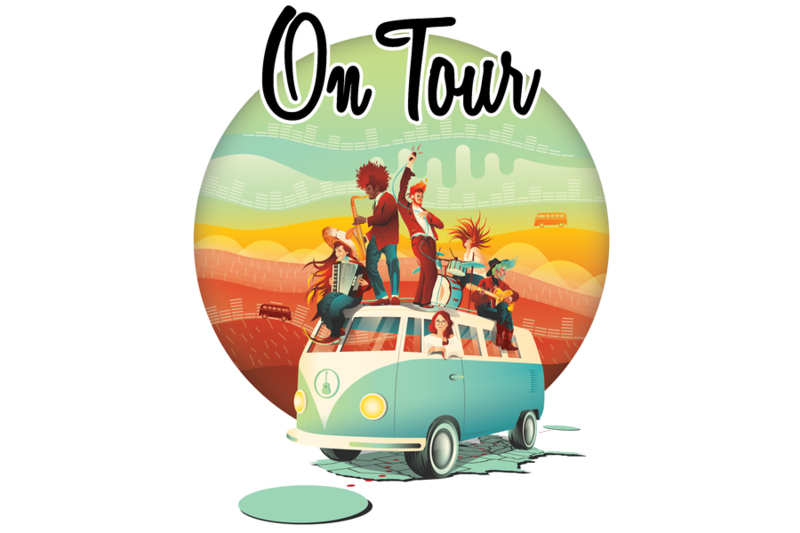 On Tour is a 20 minute route-building, roll-and-write board game with large, premium components. 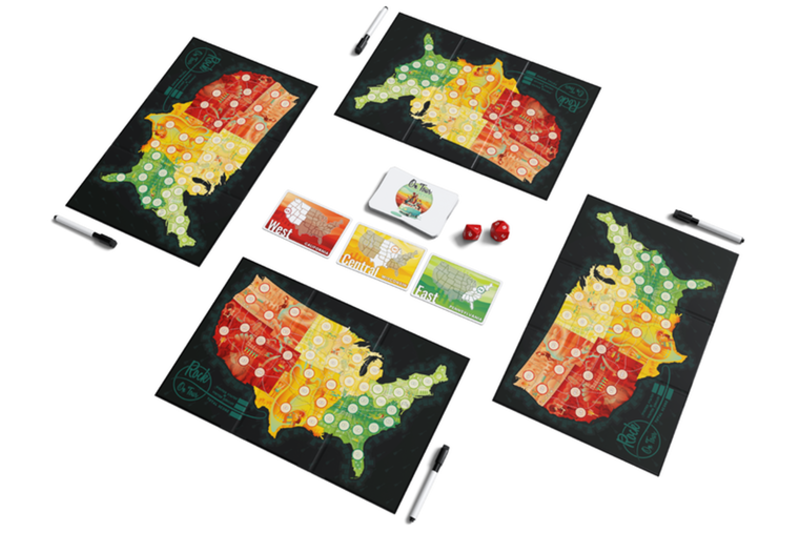 One to four players share dice rolls and cards to try to visit as many states as possible as they schedule a 100-day tour across the United States for their band. 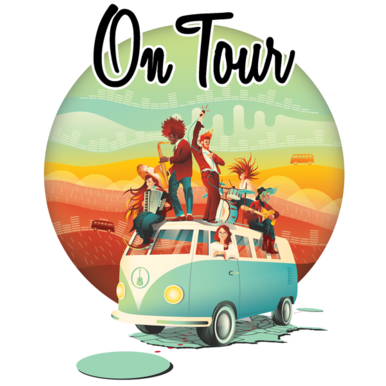 InOn Tour, players compete to take their band to as many states as possible. You'll be writing a number in each state to book it for that date on your 100-day tour.